Great medium-intensity vitamin formula for neurological, metabolic and digestive support. Designed to be taken with ADHD Mineral Support Formula. Purchase this product now and earn 3,395 Reward Points! Great starter formula vitamins and minerals for neurological, metabolic and digestive support. Less-intense form of vitamin B6 – “PAK” (Pyridoxal Alpha-Ketoglutarate) great starting formula for many sensitive individuals. Ultra-Colloidal suspension for optimal absorption. Available with or without natural flavoring. 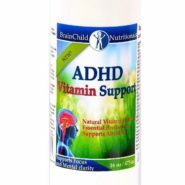 ADHD Vitamin Formula is a great starting liquid multivitamin formula used by a large majority of the children taking our supplements. It is designed to provide a moderate level of nutritional support for children and adults with less-active form of vitamin B6, for those who do better on this form. 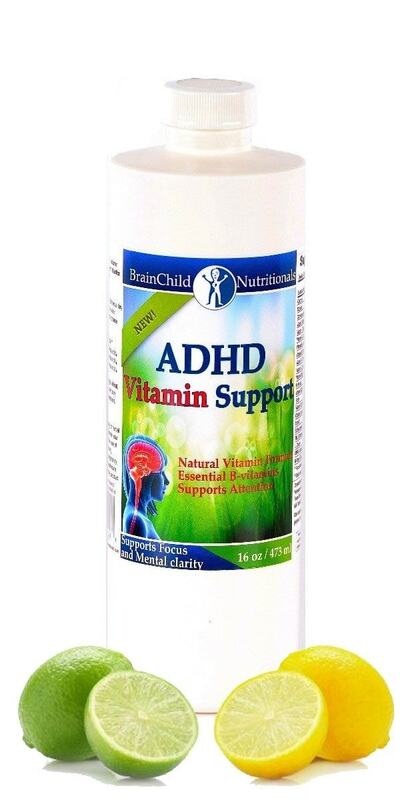 ADHD Vitamin Formula provides extra nutritional support for the neurological and metabolic systems, in a very easy-to-absorb liquid form. It has a broad nutrient profile of 44 vitamins, accessory nutrients, and herbs created to support metabolic function. ADHD Vitamin Formula‘s nutrients and herbs support digestion, digestive tract integrity, blood sugar regulation, detoxification, immune function, vascular integrity and circulation, as well as cerebral oxygenation and neurological function. The nutrients in these supplements are broken down into extremely small particles in a gentle, technologically advanced liquid suspension formula which is readily absorbed in the digestive tract and better utilized throughout the body than conventional powders, capsules, tablets or standard liquid solutions. Our formulas are distinctive for what is left OUT as well as IN: We have never used added sugar, artificial colors, flavors, sweeteners, or sodium benzoate preservative in our supplements and we never will. Milk Thistle Seed, and Schisandra Fruit. DOES NOT CONTAIN eggs, wheat, gluten, dairy, casein, yeast, corn, soy, refined sugars, artificial sweeteners, colors and flavors. Every effort has been taken to eliminate any significant sources of natural salicylates, phenols and benzoates.